NMORO offers organics recycling expertise to help reach our state’s goal of increased diversion. It has also launched a NMORO Task Force, which meets to discuss issues and develop resources. The two entities have created a position statement advising communities on best practices of organics management. NMORO encourages local communities to develop cost-effective programs to divert organic material (including yard, food, manure, mortality, agricultural and biosolids waste) from landfills. Removing organics from the waste stream has the following benefits: conserves landfill space, enables utilization of a valuable resource, and avoids greenhouse gas (methane) creation. New Mexico Organics Recycling Guide: NMORO & NMRC created a simple guide to assist communities in launching or expanding their organics management program. Included in the guide is a worksheet to guide you through the steps of considering upfront costs, equipment needs, ongoing costs and then benefits derived from diverting organics. 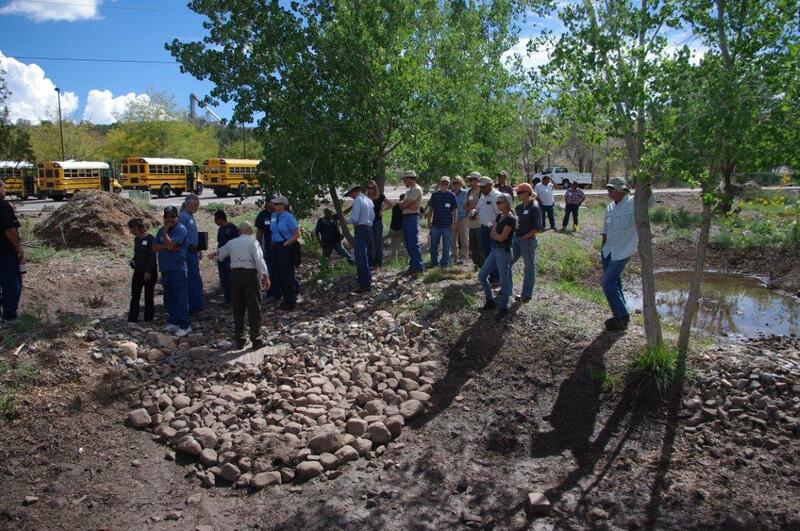 Case Studies of programs such as Las Cruces, Soilutions, Estancia Valley Solid Waste Authority, Albuquerque Bernalillo County Water Utility Soils Amendment Facility, City of Albuquerque and Wood U Recycle! are included. Local Use of Compost and Mulch Guide: When collecting yard waste and organic materials it is important to know that the material will have practical uses, whether you make the choice to create mulch or compost for diversion. To this end, NMRC created a comprehensive guide on using compost and mulch locally. While the guide focuses on rural communities, the information can be used in any sized community. The guide provides a variety of local uses for both mulch and compost. Uses outlined in the guide include: parks and recreation uses, golf courses, organic farms, land remediation, erosion control and slop stabilization. NMORO strives to assist communities and large facilities with setting up their composting operations. You may send a request for technical assistance to nmorganicsrecycling@gmail.com. Bernalillo County Master Composter Program: Several Bernalillo County Extension Master Composter trainings have been completed. Master Composter program interns from Bernalillo, Sandoval, Valencia, Cibola and McKinley counties are available to teach home composting classes - free to the public. Send inquiries to: johnzarola@comcast.net. Texas Department of Transportation: Visit the Texas DOT web site to learn about the very successful compost/mulch program. "Description and Use of Municipal Solid Waste Composts in New Mexico" by George Dickerson for NMSU Extension Office. View other great composting-related articles by searching the NMSU Extension Office website. Backyard Composting Made Easy Brochure – New Mexico. Spanish version click here.